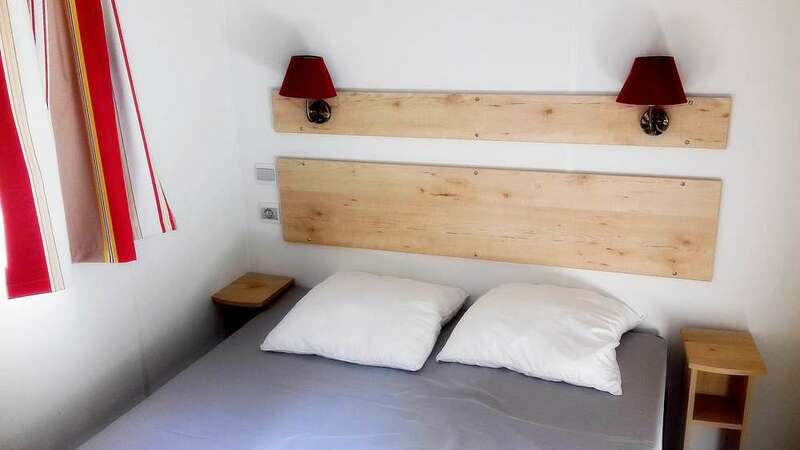 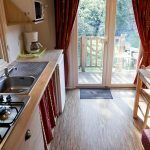 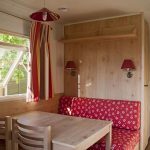 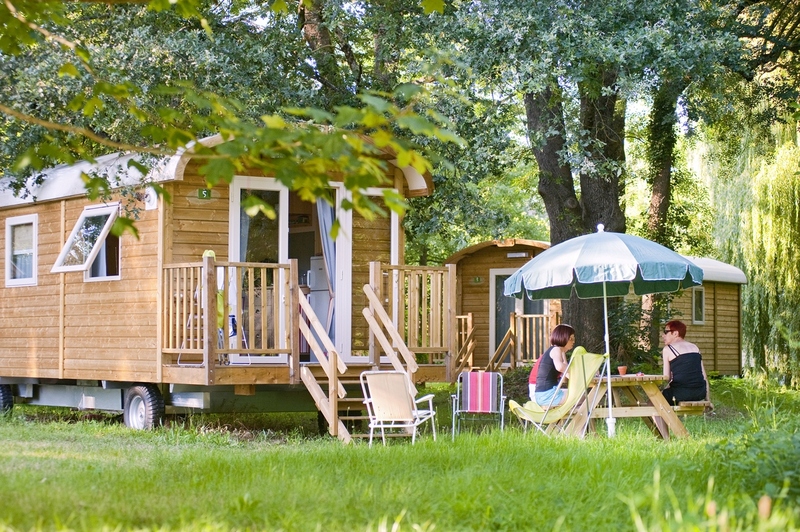 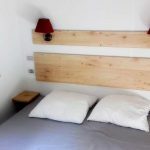 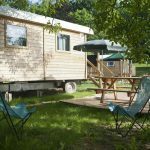 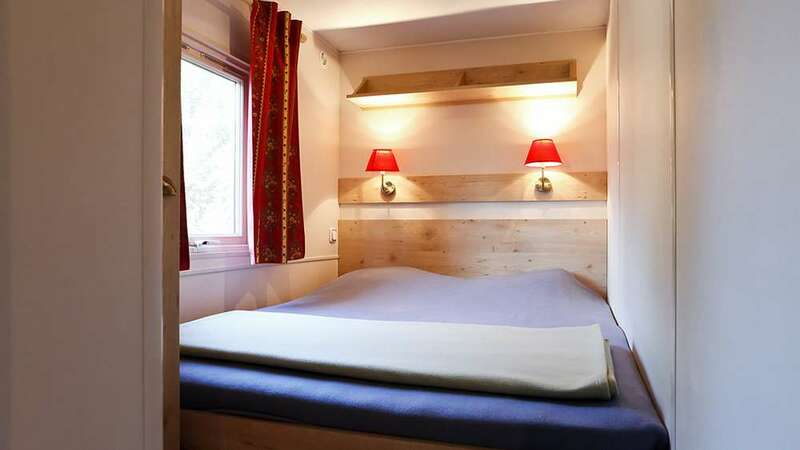 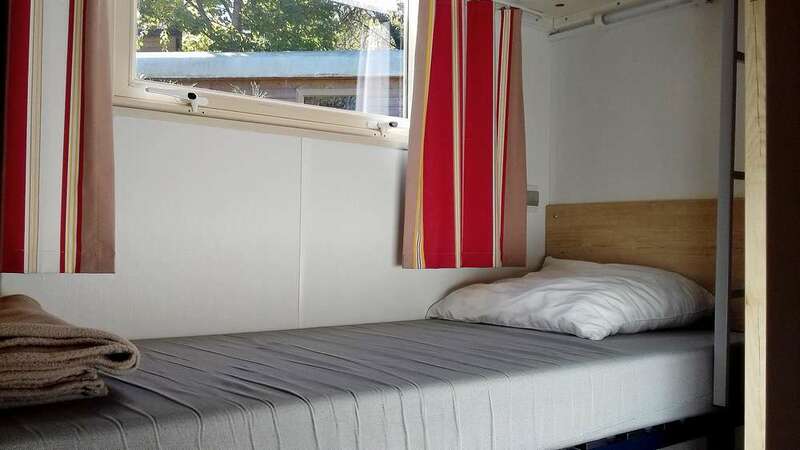 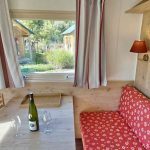 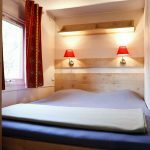 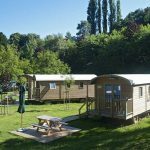 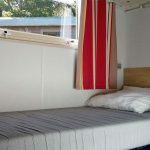 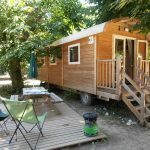 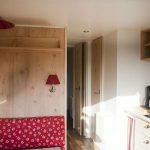 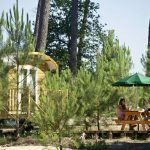 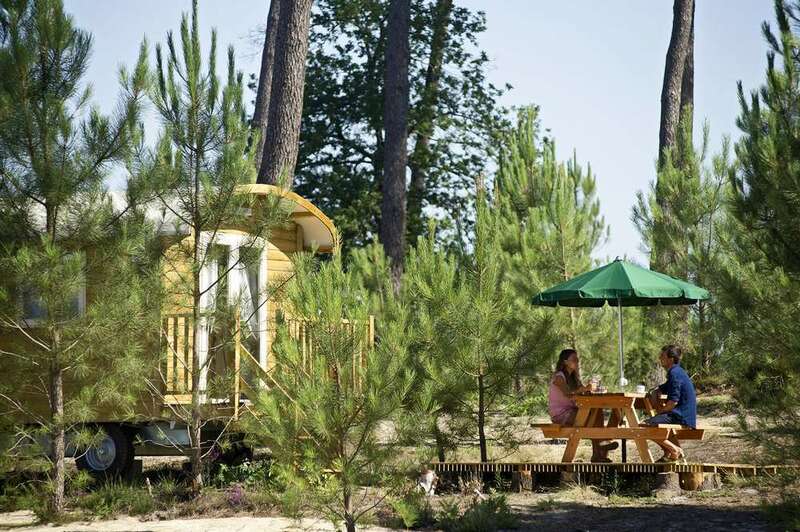 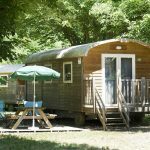 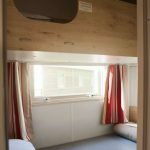 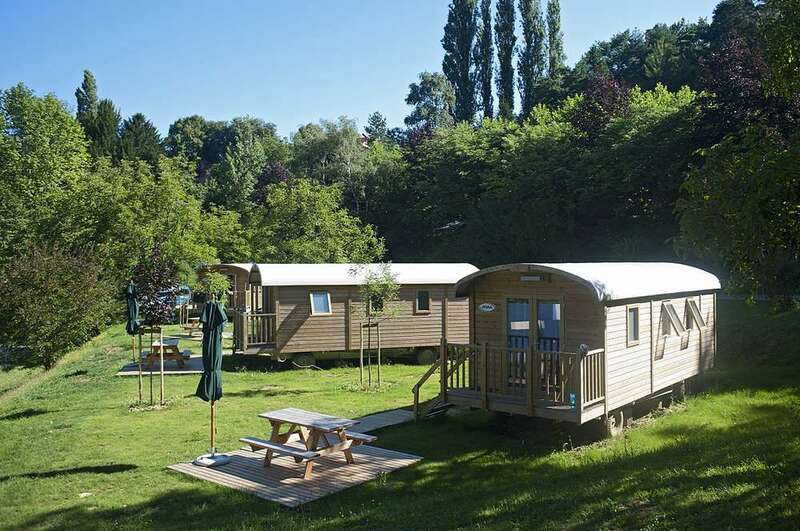 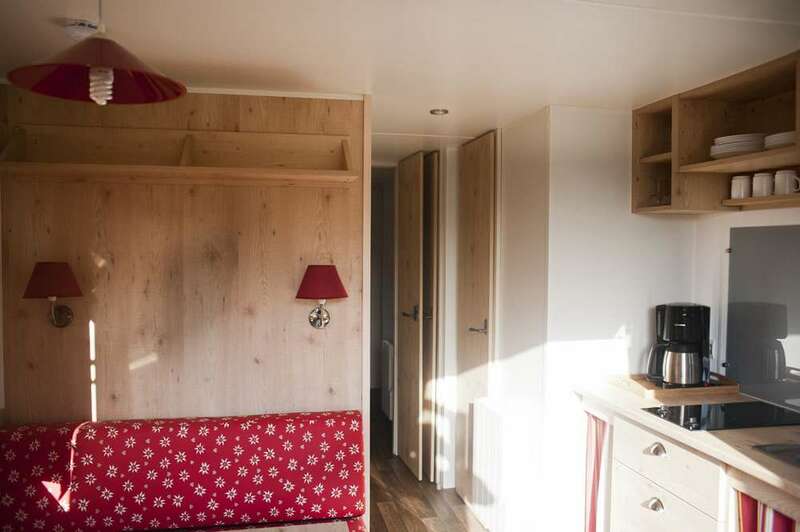 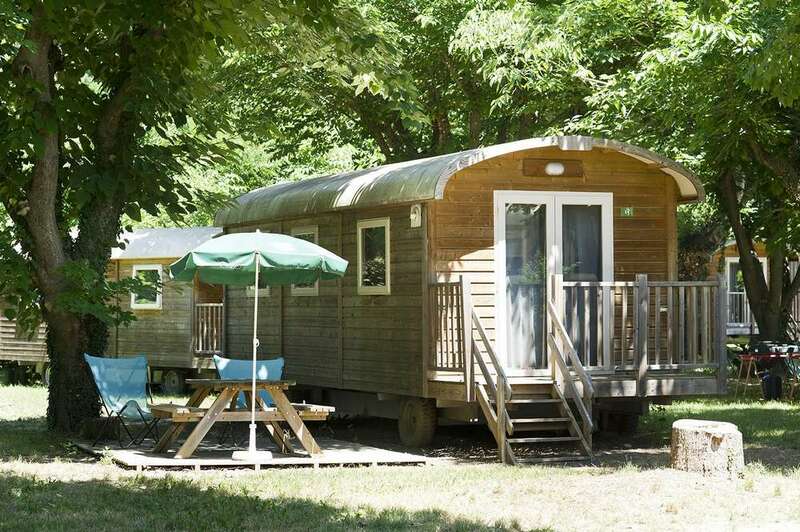 The wood trailer has all the comforts for a holiday as a couple or with young children, offering originality and a refreshing change of scenery too! 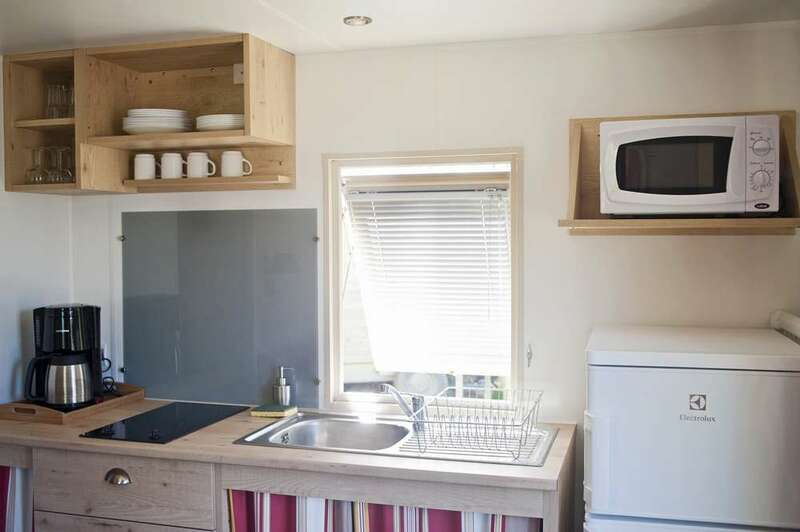 The highlight: its terrace with a picnic table. 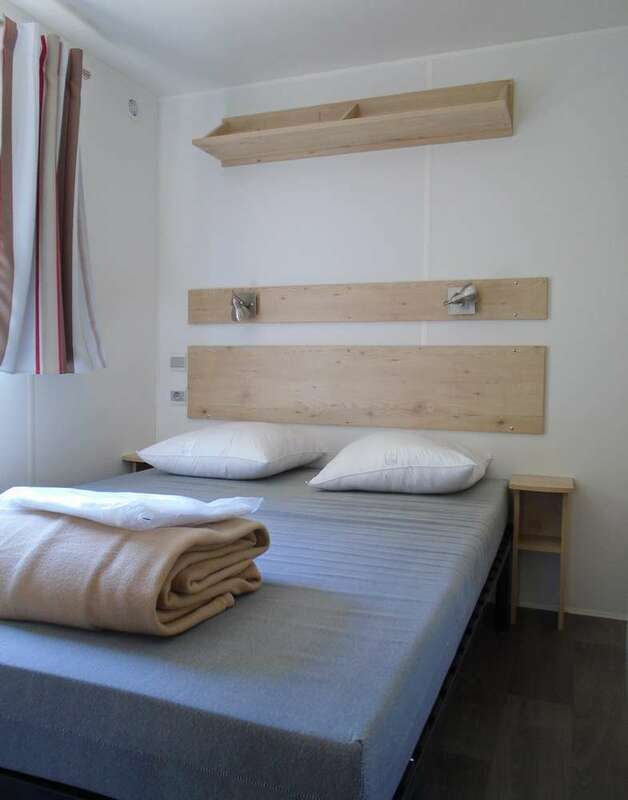 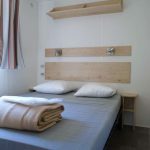 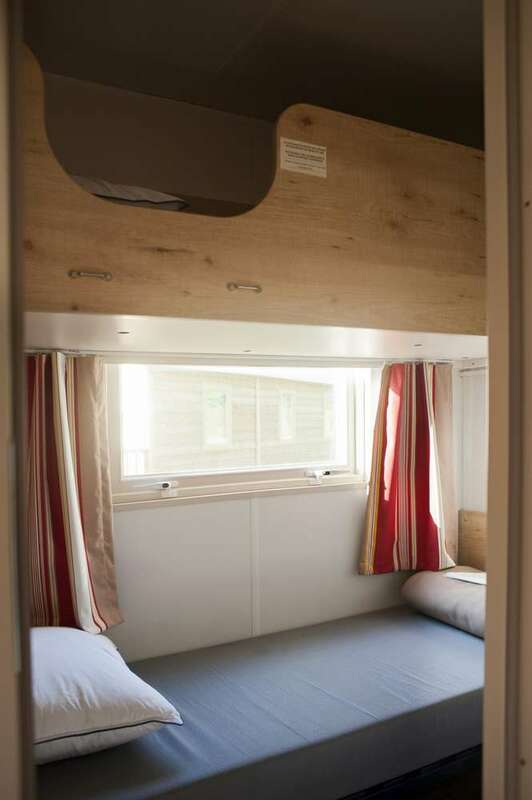 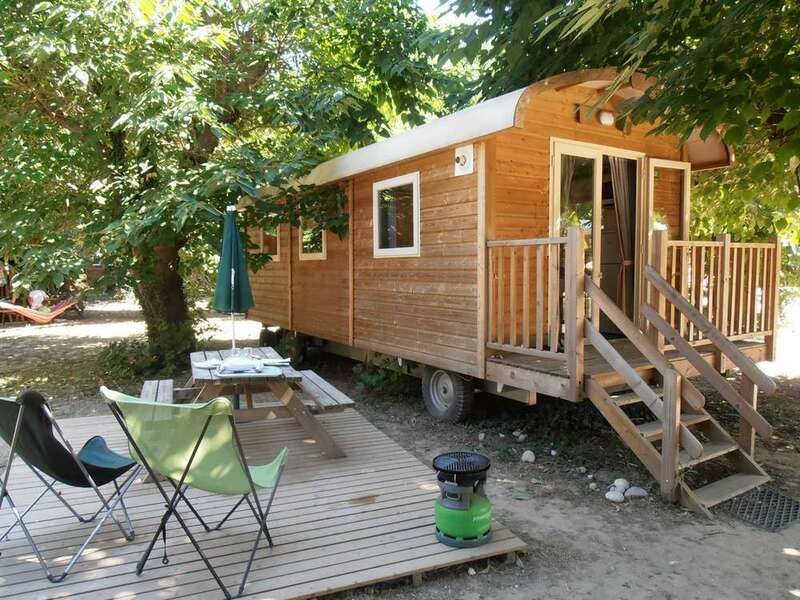 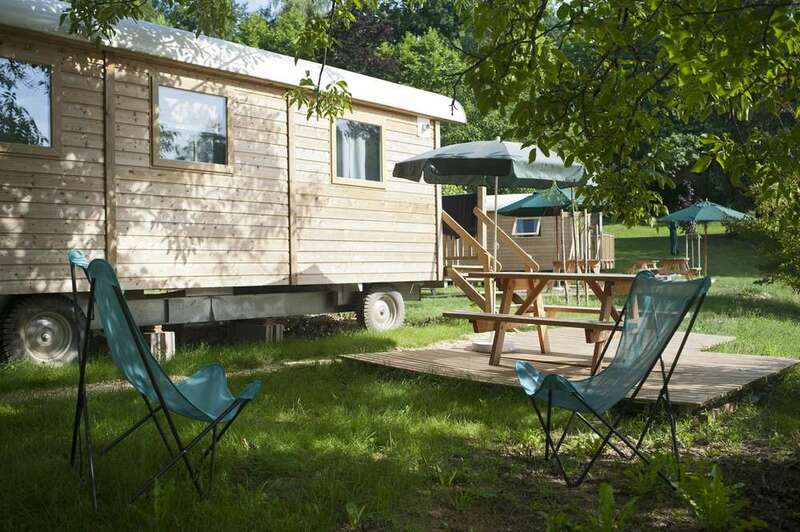 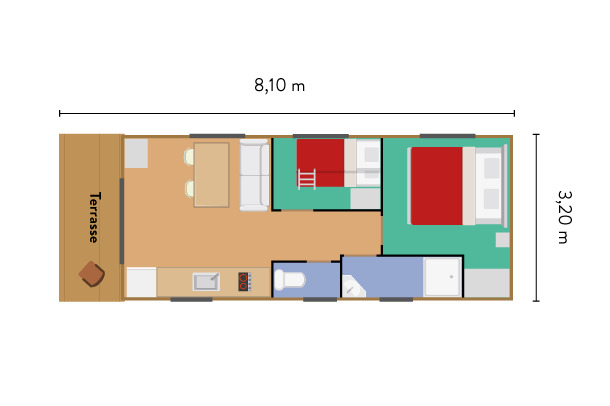 Equipped with 2 bedrooms, a bathroom and a kitchen, the wood trailer can accommodate up to 4 people (2 adults maximum). 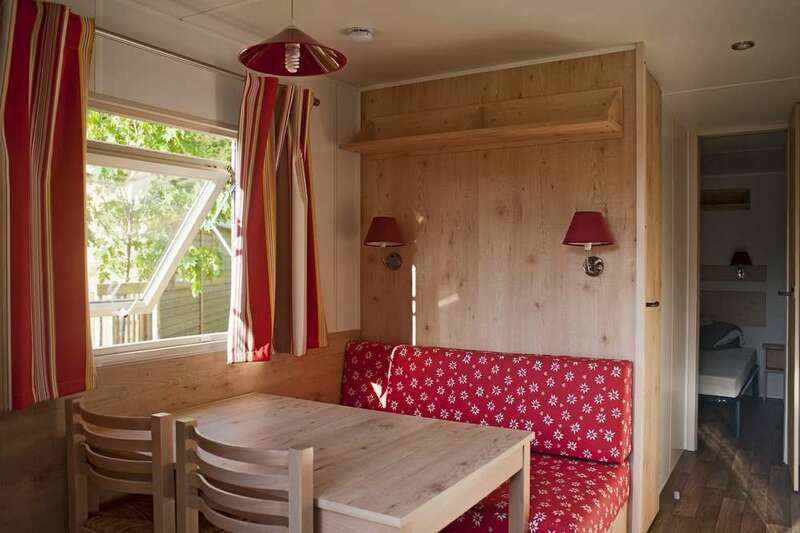 Main room: living area with table and bench. 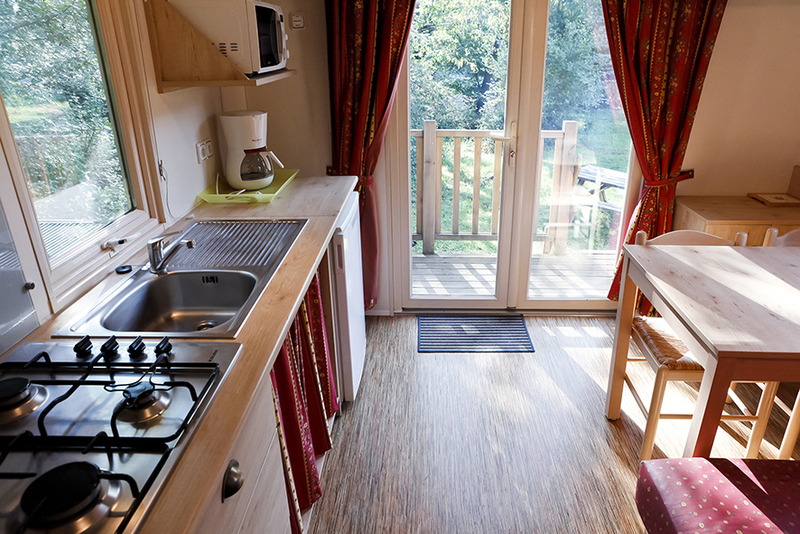 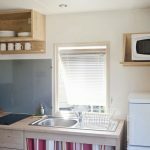 Kitchen area (sink, gas hob, microwave, fridge, crockery, and electric coffee maker). 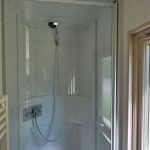 Bathroom with sink and shower – separate toilet.